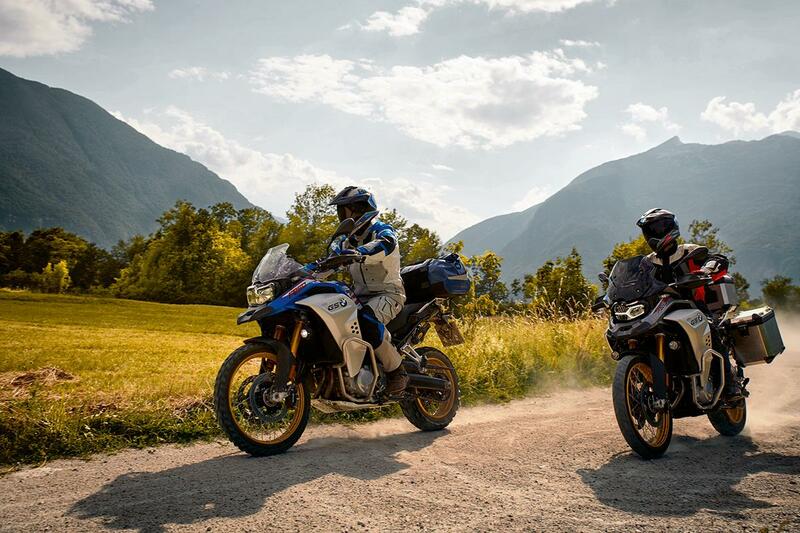 The new F850GS Adventure is a welcome addition to the BMW range. With a bigger fuel tank, improved weather protection and revised ergonomics it's capable of taking you wherever you want to go in comfort whether that’s on or off-road. 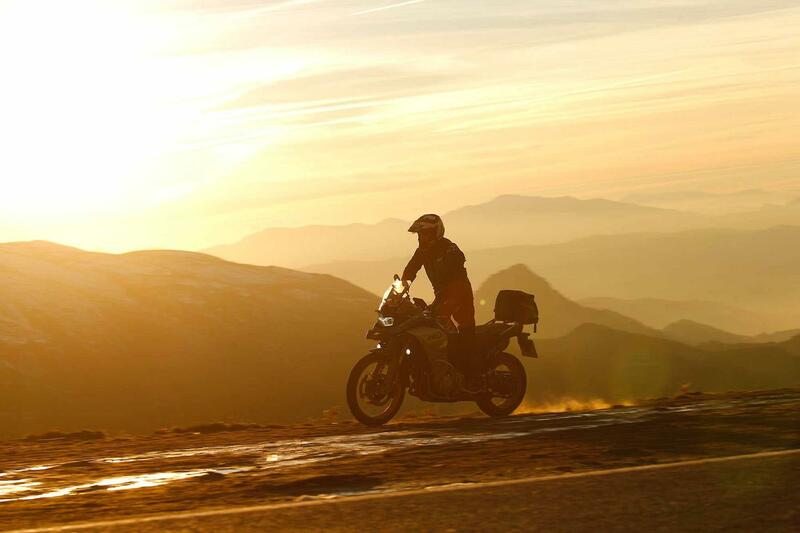 While the base model starts at just £10,600, the options to upgrade bikes ergonomics, electronics, rider aids and gadgets are endless and turn it into a very accomplished adventure bike. 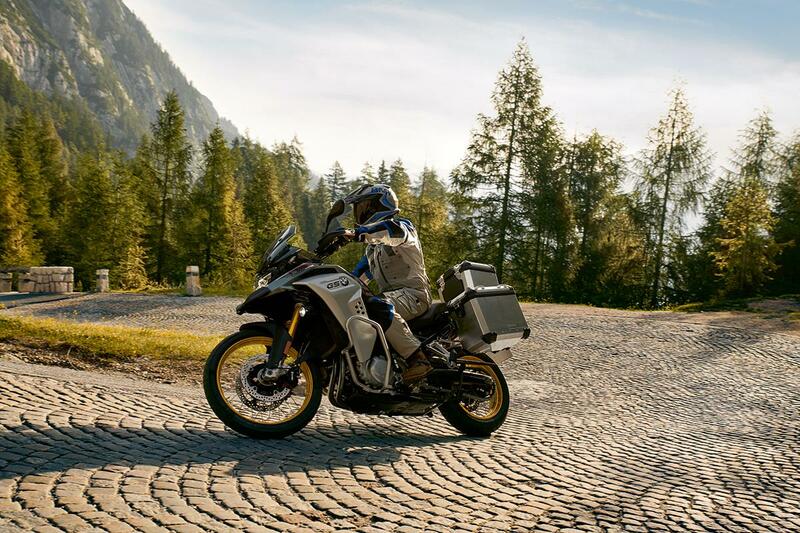 It's clear that BMW’s engineers had Honda’s Africa Twin Adventure Sports in their sights when designing the F850GS Adventure. On paper the specs are incredibly similar - as is the performance and riding experience. It has the looks of the R1250GS Adventure more than ever before with a similar level of refinement and plushness that makes the bigger GS such a world shrinker. If big imposing adventure bikes are your thing then the 850 fits the bill and while it doesn’t have the power and abundance of grunt as the shift cam equipped BMW 1250GS it has enough performance for the vast majority of people will need for the vast majority of time. With electronically adjustable rear suspension that gives 215mm travel and 230mm of travel from the non-adjustable 43mm front forks the set-up is designed to deal with rider only road riding through to two-up off-road adventures. On the road the set-up is plush with high levels of refinement, while off-road it manages to give good feel, feedback and grip. Braking performance is impressive thanks to the floating Brembo calipers and Twin 305mm disks which mean you never need to use more than one finger when braking. There is an off-road specific ABS setting configured within the variable rider modes or the ABS can be turned off completely with the push of a button. The 853cc parallel-twin motor has a 90-degree crank pin off-set, which adds to the character of the motor. With 95bhp at 8250rpm and 67.8ft-lb torque at 6250rpm, there is plenty of useable power on tap without it ever being too much. On road it’s smooth and engaging with a strong bottom end and mid range, which is where potential owners are likely to be spending the majority of their time. 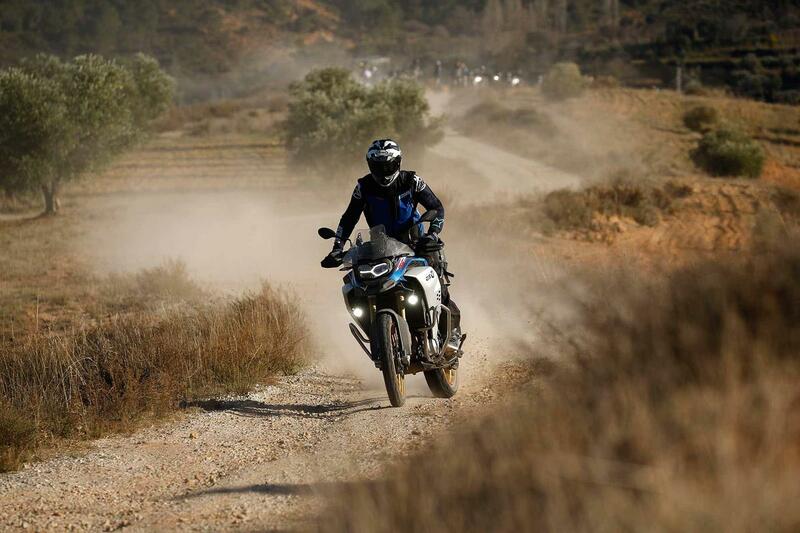 The same smooth character transfers well when riding off-road - especially the initial tap of the throttle, which is predictable and helps the rider find grip on loose terrain. BMW have enjoyed huge sales success with their range of GSs and as a result have a reputation to up hold. 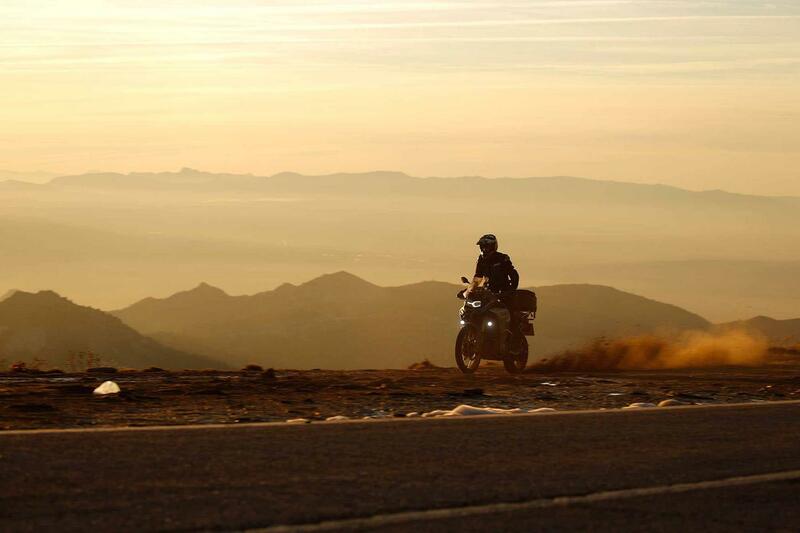 The new R850GSA has the feel of its R1250GS big brother and that is no bad thing - solid, well built and durable. Being a BMW’s it also enjoy a comprehensive and first class dealer network virtually anywhere in the world. At £10,600 for the base model at its launch, this is a well priced bike that is in line with Honda’s Africa Twin models. But in reality it’s unlikely that anyone will buy the bike in it’s completely standard form. 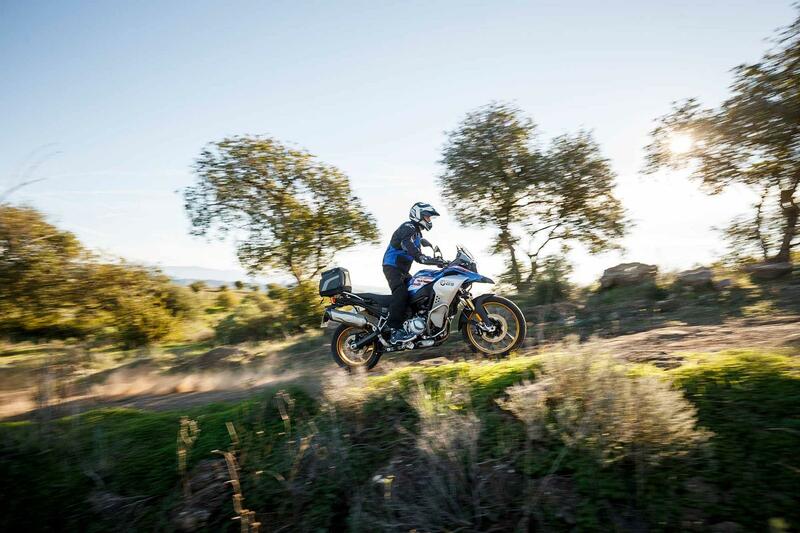 The list of optional extras for the F850GS Adventure are practically endless, from full luggage options, quick-shifter and auto blipper through, to keyless ignition, emergency call, a 6.5in TFT dash and sports exhaust, you really can tailor the bike to anything you want at a price. The equipment levels on this bike depend largely on your budget. The 6.5in TFT dash first seen on the R1200GS in 2017 is a work of art. Easy to use, classy display with a plethora of information all of which can be viewed even when it’s in bright sunlight and covered in dust. Riding modes are easily changed either at standstill or on the move. It’s easy to jump between the pre-set Road, Rain, Dynamic and Enduro Pro pre-set options and you can also easily tailor these parameters to meet your exact needs. The traction control and ABS can be switched off completely if required and these settings remain in place even if you switch off the bike - a refreshing change that avoids you having to scroll through set-up menus every time you re-start your journey.  It has an adjustable screen, which can be placed in either a low or high position easily and on the move. It comes standard with three-level heated grips and wrap around handguards for protection and their warmth properties. Part of the same family tree as the standard F850GS mentioned below, the bike descends from the BMW F800GS Adventure, which took the standard 800 and gave it a new exhaust, full ride-by-wire throttle, different riding modes, a revised dashboard and new paint finishes. It also got galvanised radiator trim and a revised ignition lock casing. 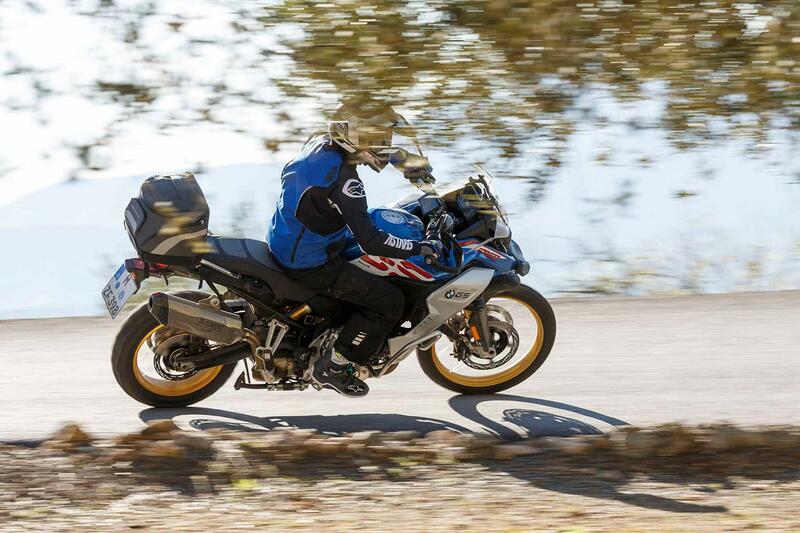 BMW F850GS: Launched as a new model for 2018, the standard 850 is an impressive prospect in itself - with an impressive spec, performance and arguably more road-going prowess than its formerly 1200cc older brother. This was adapted from the now-discontinued F800GS. 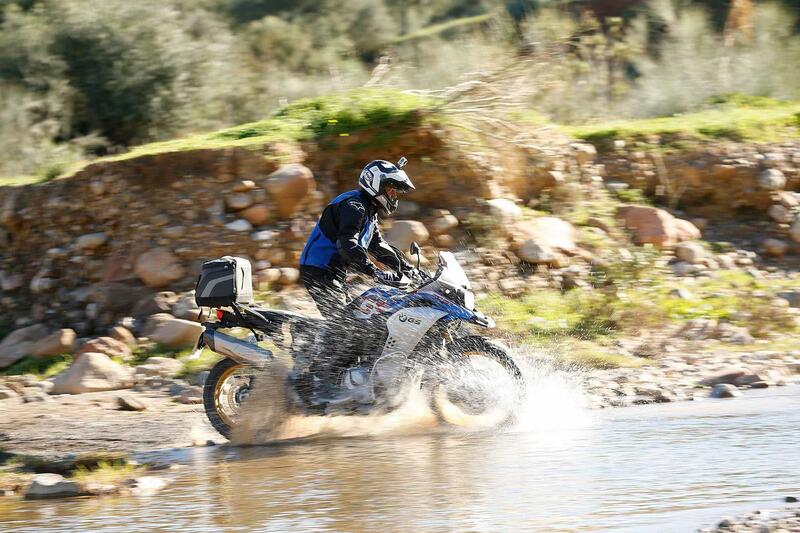 No owners have yet reviewed the BMW F850GS ADVENTURE (2019-on).